Straying from his “day job” as a small package logistics executive for a large cataloger, drseid loves to combine his two bank account busting passions of high-end audio and collecting fragrances. While listening to his favorite music on speakers that are nearly as tall as him, he has written over 350 fragrance reviews on Basenotes and parfumo.net the past year alone. 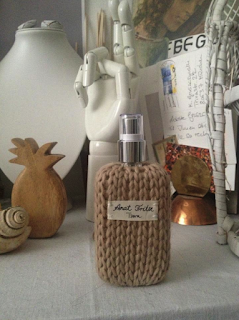 Having been drawn to this fragrance seeking passion for well over a quarter century, I have sought to get my nose on just about every fragrance and fragrance house of interest, whether they are mass market designers, artisanal niche one “nose” outfits and everything in-between. Having sniffed well over 450 fragrances of all price ranges and popularities alike the past year alone, it is quite rare that a fragrance let alone an entire fragrance house moves me enough to call specific attention to it. I am happy to report that the relatively obscure designer house of Anat Fritz is one of those very rare occasions. Tzora opens with just the faintest whiff of fresh orange before quickly transitioning to a sharp sparkling bergamot and Peruvian pepper tandem that dominates the heart of the scent with a very subtle mossy green undertone. The Peruvian pepper is deftly implemented, never overpowering the other elements but rather meshing with the bergamot in perfect harmony. As the Peruvian pepper slowly recedes, a very fine cedar emerges to take its place, mingling with the still remaining bergamot through the dry-down, adding shimmering vetiver support. Projection is below average and longevity is excellent, providing well over 11-12 hours at near full strength on skin. Tzora was a late entrant to the 2012 party (at least in the US), but it captivated me from the get-go and the longer I wear it the more I enjoy it. It is officially classified as a floral chypre, but I think it is more like a citric/woody scent with spicy and earthy support. Tzora is quite the textbook prototype of executing a composition using minimalist restraint in its implementation; with Geza Schoen showing off all his enormous talent here in what I feel is his best work to date. Terre d'Hermes fans in particular looking for a fragrance that has a similar vibe but is more polished and less vociferous will most likely find Tzora quite appealing, as while it is no Terre d'Hermes clone at all, it occupies a similar space and beats the great Jean-Claude Ellena masterpiece at its own game (not an easy accomplishment). To bottom line it, Tzora is the one of the three finest new releases I have smelled in 2012, earning an extremely rare 9.5 star out of 10 rating from me. This one is an absolute masterwork of the highest order and it would not surprise me if it stands the test of time. 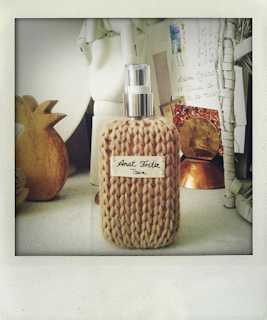 Anat Fritz opens on skin with a fresh strong breeze of aromatic wild lavender that soon joins a very sharp natural cedar and raw grassy vetiver in the heart to create the dominant overall accord running through its relatively linear development. The heart accord is dirtied slightly by the deft use of patchouli in the base coupling with just the faintest hint of relatively dry sandalwood, never calling attention to itself. Projection is quite strong and longevity is near equally outstanding, lasting between 10 and 12 hours. 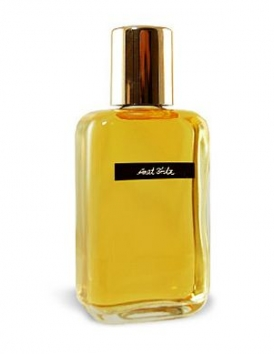 Anat Fritz has been pretty thoroughly ignored in the perfume community since its 2006 release, but now having sampled it I am quite disappointed in myself for not giving this a sniff a lot earlier, as it is a perfect fit for my fragrance preferences. Ms. Fritz earns extra points for utilizing the lavender here (a note I generally dislike) in a way that it complements the sharp cedar perfectly by focusing on its aromatic qualities and spurning its powdery facets frequently featured by most. Unlike Tzora that is so skillfully restrained and remaining well in the mainstream, the original Anat Fritz is rough and unpolished, earthy, aromatic, powerful and invigorating. Both scents are near equally appealing but in polar opposite ways. The long and the short of it is Anat Fritz is an outstanding "masculine" leaning release that will appeal to cedar, lavender and vetiver lovers who want to make a strong statement, earning a second extremely strong "masterpiece" rating of 10 stars out of 10. *Please note that the original version of the scent (that is reviewed here) has been re-worked by Anat herself in June of 2012. The new version according to Ms. Fritz tones down the lavender focus, making the scent a more balanced earthy composition. I have not sniffed the newly re-worked version as yet (as the remaining original bottles are being sold first), so I can only pass on how Anat describes it but having been so thoroughly impressed with her work on the original version I look forward to trying it out shortly when it is available and will update my review with any new impressions if warranted after doing so. I have now tried the re-worked version of Anat Fritz and it does indeed tone down the aromatic lavender just as Anat mentioned. That said, I don't really get more of an earthy feel to the re-worked fragrance, but rather more of a focus on the natural smelling cedar. The overall composition comes off as a bit more polished, but still keeps a lot of the untamed nature that I loved so much in the original formula the review is based on. I guess the most important question is does this re-work improve on the original? My feeling is it depends on what you are looking for... If you want an absolute rugged and wild edge to your compositions then the original is going to most likely appeal more to you... If you want a *bit* more refinement and less aromatics, especially early then the re-work should be more to your tastes. The main aspects of the original composition are still very much in-tact with the rework, and I personally love both efforts equally. My overall rating remains the same for either version.